is currently a researcher with Zenuity, Göteborg, Sweden, where he works on threat-assessment and decision and control algorithms for active-safety systems. In 2007, he received the Bachelor of Science degree in Electrical Engineering from Instituto Superior de Engenharia de Coimbra (Portugal). He joined in 2006 the Erasmus Exchange Program to study at the Université Reims-Champagne Ardenne (France), where he obtained the Bachelor of Science and a Master of Science in Electrical Engineering (specialized in Automatic Control) in 2007 and 2009, respectively. 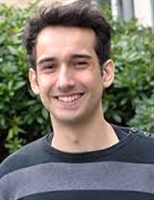 In 2009, he integrated the Gipsa-Lab, in Grenoble (France), as a PhD candidate on a topic entitled “Agreement strategies for multi-robot systems”, under the supervision of Alexandre Seuret and Carlos Canudas de Wit within the NeCS team. During this period, he was a visiting researcher with the Automatic Control Lab at KTH, in Stockholm (Sweden). He finally received the PhD degree by Université de Grenoble in 2012, and join the Department of Signals and Systems, Chalmers University of Technology (Sweden), as a postdoctoral research associate. His research interests focus on multi-agent systems and cooperative control. In particular, his current research deals with driver-adaptive safety systems, safety verication algortihms, and cooperative driving and least restrictive supervisory control for collision avoidance at traffic intersections, both for autonomous and human-driven vehicles.